As part of my job as an editor for Who What Wear, I’m digging through Instagram for the coolest outfits and latest trends to emerge in the fashion space. I log hours and hours each week scrolling through accounts, and very often I uncover micro-trends that are bubbling up among the fashion set. So, what new trends are the cool girls wearing on Instagram now? I scoured the accounts of some of my coolest fashion girls to pinpoint some trends that are picking up steam. From sleek outerwear to playful jewelry to the latest It bag, here are the pieces you’ll be sure to spot more of in the next few months. Ahead, see how fashion girls are wearing the trends and shop my edit to wear each of them for yourself. What could be better than a fresh dose of fashion items as we head into the New Year? Ready for the It bag that will be everywhere in 2019? Meet the Prada Sidonie bag, which is landing in the closets of fashion girls everywhere. 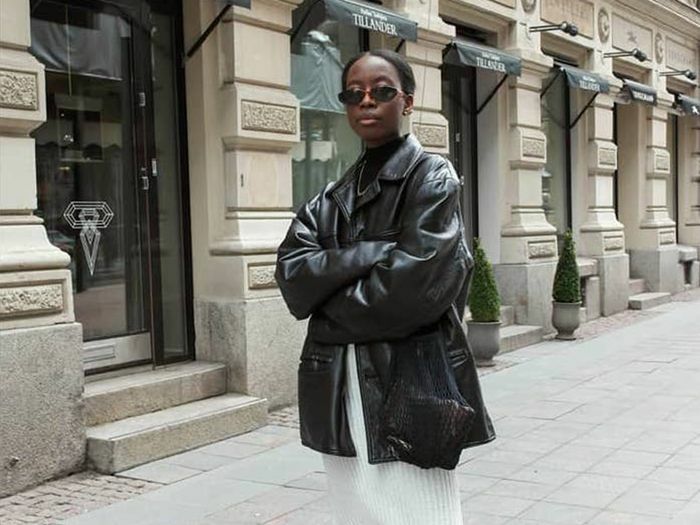 Whether you opt for a leather blazer or a vegan trench coat, sleek leather is the cool new outerwear staple that's popping up all over Instagram. Want a dose of fun? Playful heart jewelry is where it's at. I'm seeing the shape everywhere from sunglasses to cool necklaces and earrings. Another trend that doesn't take itself too seriously? Crystal hair clips, which have arrived just in time for the holidays.